Unit six Compare and Contrast. 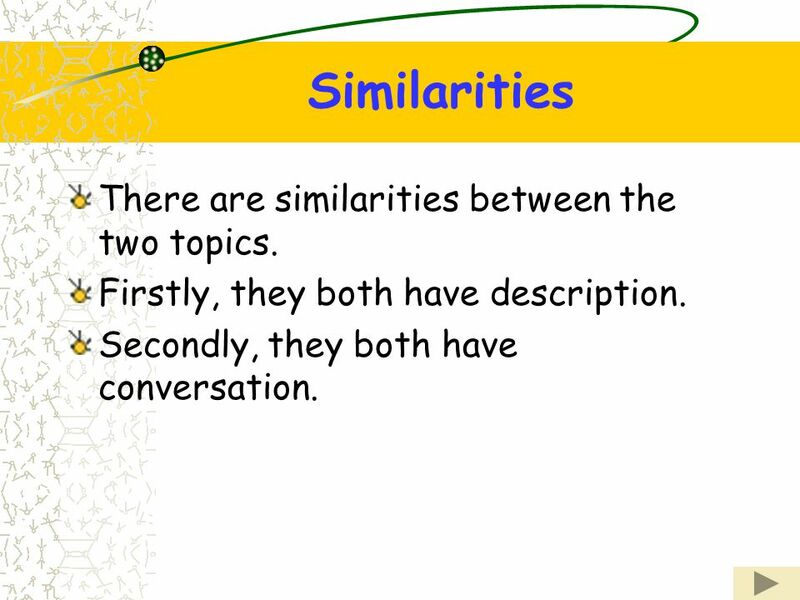 2 To compare means to discuss how two people, places, or two things are similar. 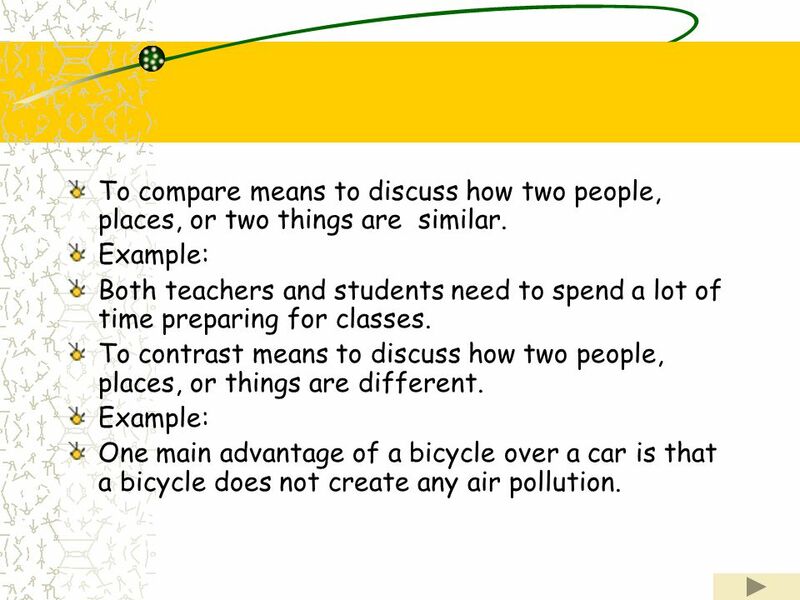 Example: Both teachers and students need to spend a lot of time preparing for classes. 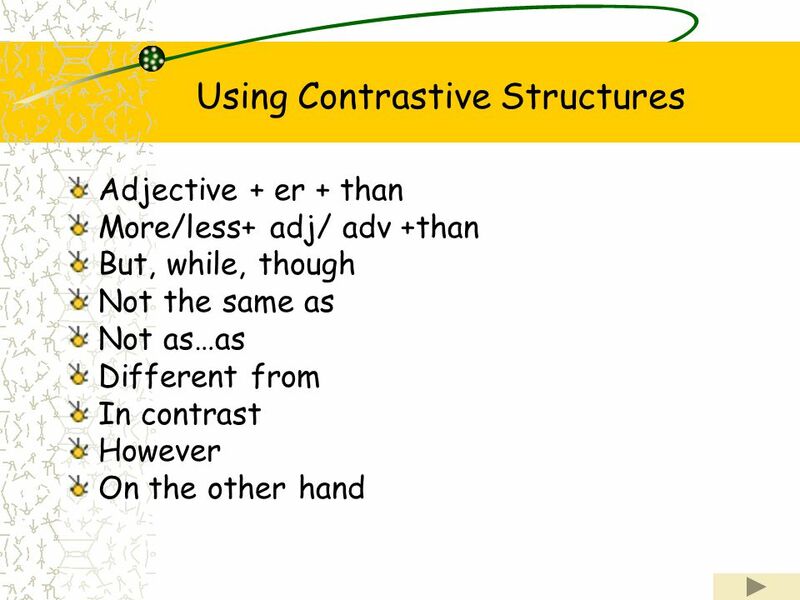 To contrast means to discuss how two people, places, or things are different. One main advantage of a bicycle over a car is that a bicycle does not create any air pollution. Reading a story in a book is often very different from seeing it as a movie. When you read a story, you need to use your imagination. A book usually gives a lot of description about the people, places, and things in the story, so you can create pictures in your mind. In addition, the conversations between people are always written with details that describe how the people look or feel while they are talking. 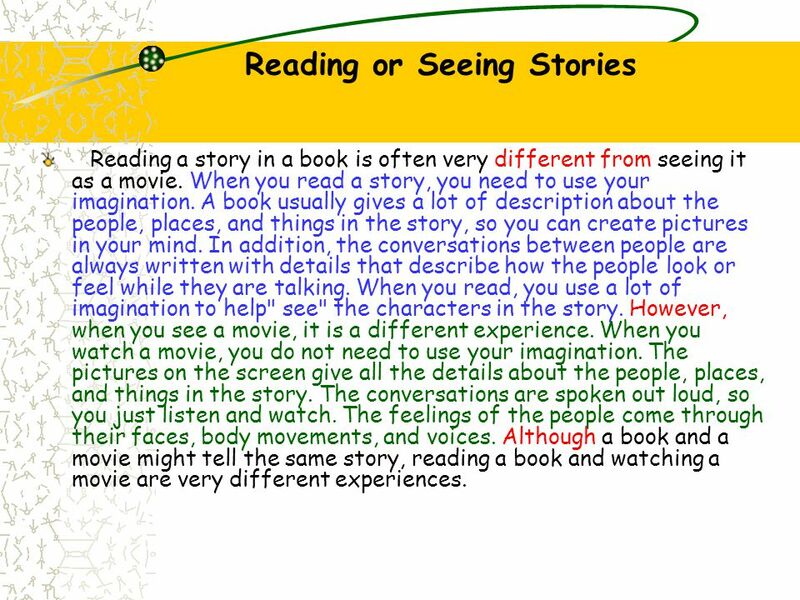 When you read, you use a lot of imagination to help" see" the characters in the story. However, when you see a movie, it is a different experience. When you watch a movie, you do not need to use your imagination. The pictures on the screen give all the details about the people, places, and things in the story. The conversations are spoken out loud, so you just listen and watch. The feelings of the people come through their faces, body movements, and voices. 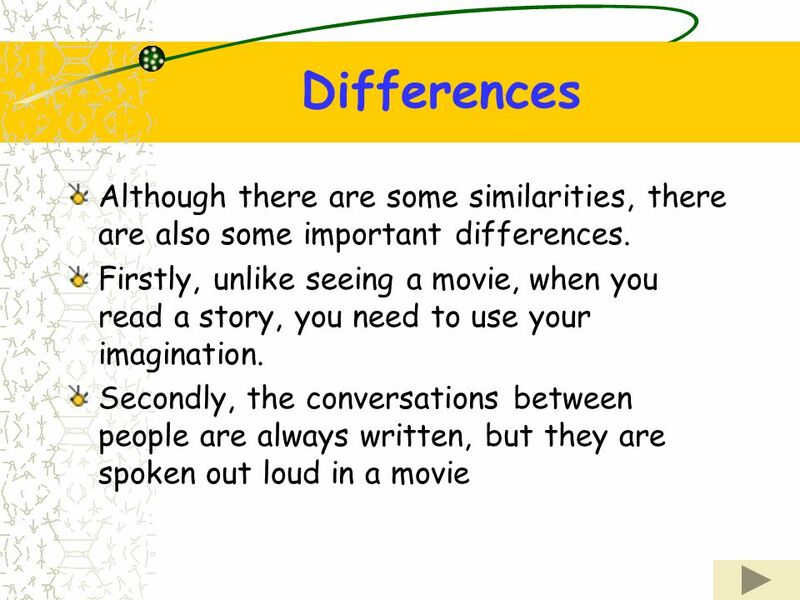 Although a book and a movie might tell the same story, reading a book and watching a movie are very different experiences. Reading a story in a book is often very different from seeing it as a movie. When you read a story, you need to use your imagination. A book usually gives a lot of description about the people, places, and things in the story, so you can create pictures in your mind. However, when you see a movie, it is a different experience. When you watch a movie, you do not need to use your imagination. The pictures on the screen give all the details about the people, places, and things in the story. In addition, in a book, the conversations between people are always written with details that describe how the people look or feel while they are talking. 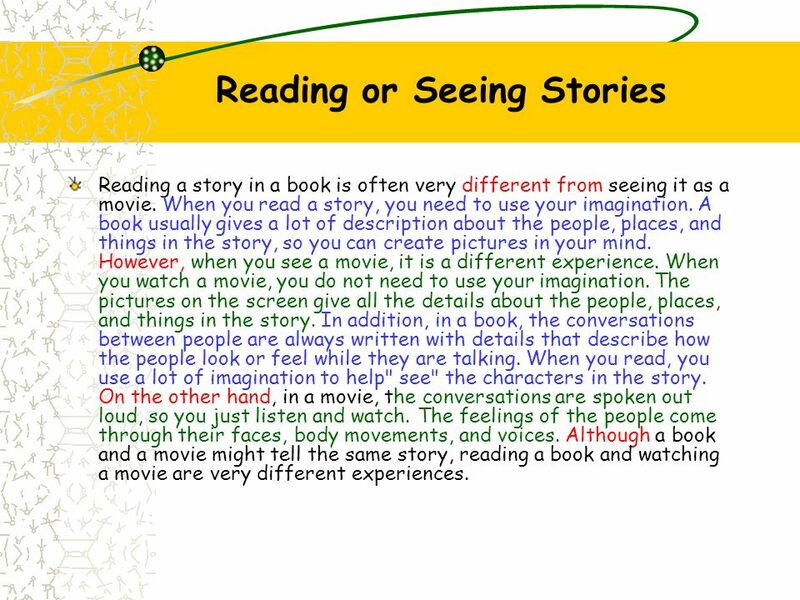 When you read, you use a lot of imagination to help" see" the characters in the story. On the other hand, in a movie, the conversations are spoken out loud, so you just listen and watch. The feelings of the people come through their faces, body movements, and voices. Although a book and a movie might tell the same story, reading a book and watching a movie are very different experiences. 9 Similarities There are similarities between the two topics. Firstly, they both have description. Secondly, they both have conversation. “All in all, / Overall,… The similarities outnumber/ outweigh the differences.” The differences outnumber/ outweigh the similarities. Own opinion – “In my opinion, …. 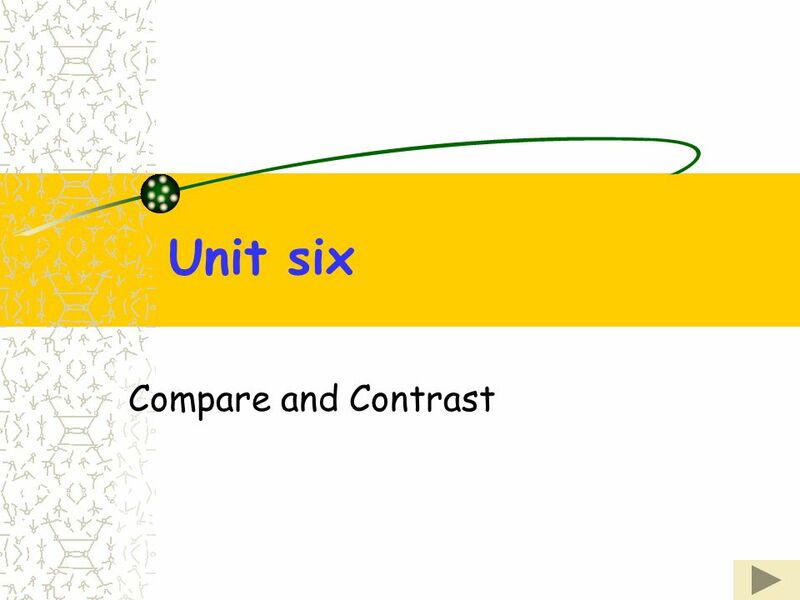 Download ppt "Unit six Compare and Contrast." Lesson 9 A news website is not as personal as a TV news show. 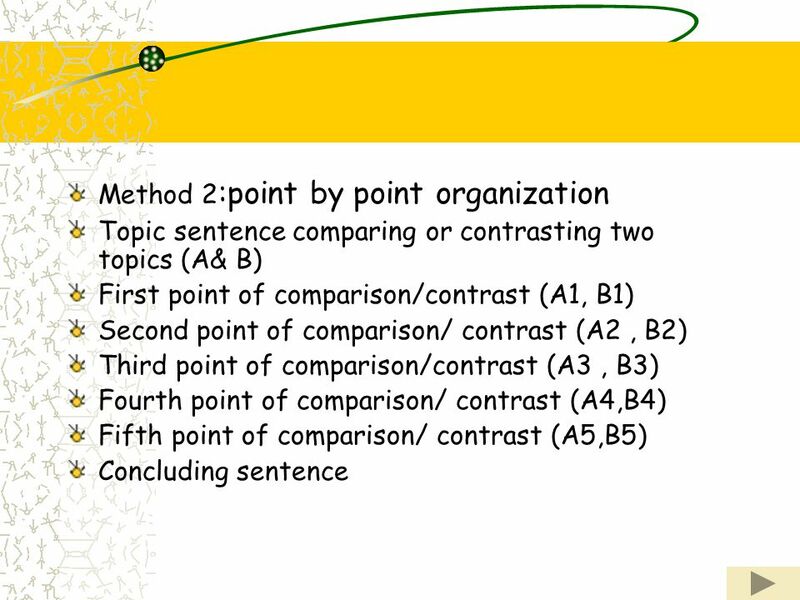 Recognizing Question Stems So you’ve read the text… now what? A word that helps us see.. Imagery includes words that create an image in your mind. 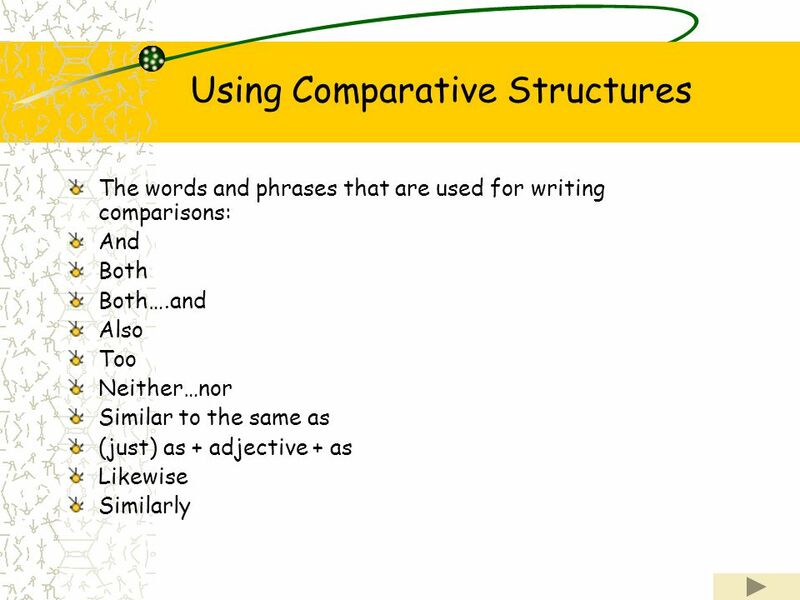 COMPARE AND CONTRAST How to write an essay of approximately 200 words in 45 minutes Rls 2001. ` Printing: This poster is 48” wide by 36” high. It’s designed to be printed on a large-format printer. Customizing the Content: The placeholders in this. 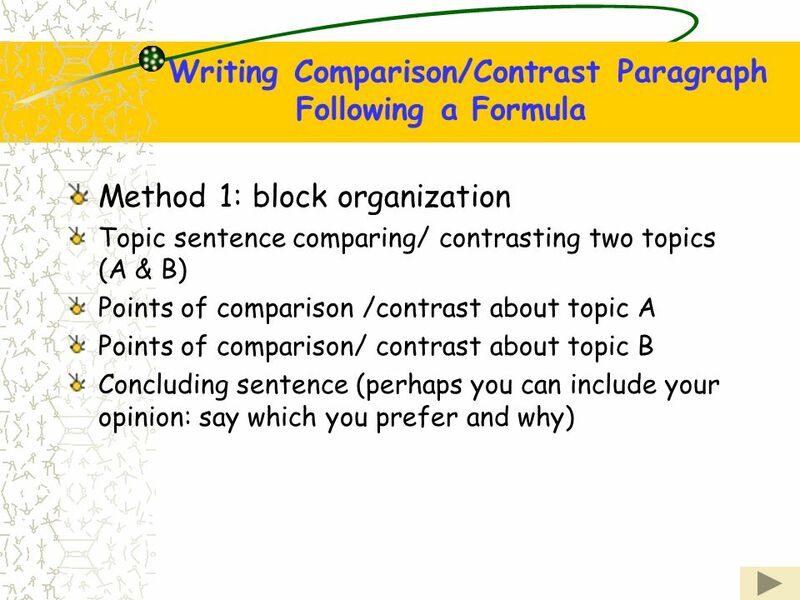  ERW Essay Format Body paragraph structure and useful transitions. Compare and Contrast 1 Степанова Ольга Леонидовна. How to structure hard and soft news By: Chris Rodriguez, Isabella Carvajal. Essay Writing and how to teach it. David Murphy. 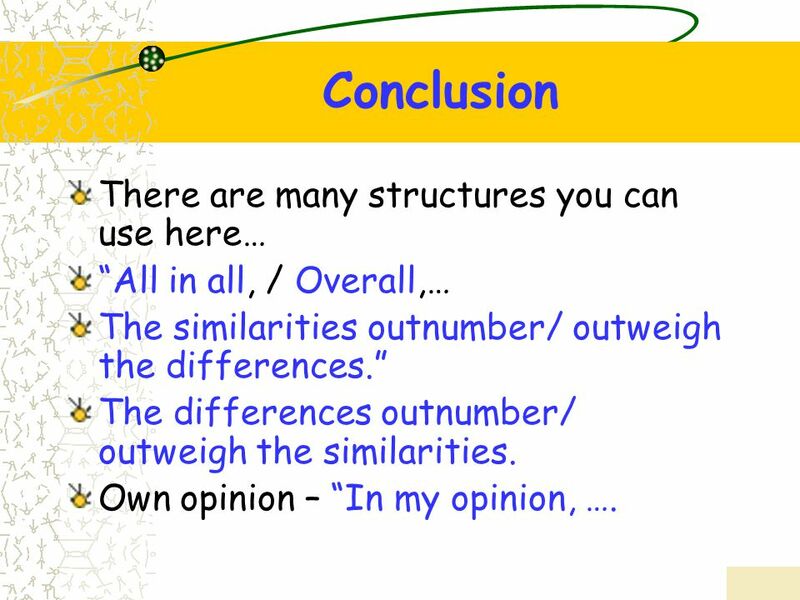 The Five Paragraph Essay and its parts Introduction Body Conclusion. T.C. Norris Spring 2013. Definitions Coherence = to stick together The logical connections that readers or listeners perceive in a written or oral text.